Ayala Alabang has been one of the top spots for business and leisure in the southern part of Manila. 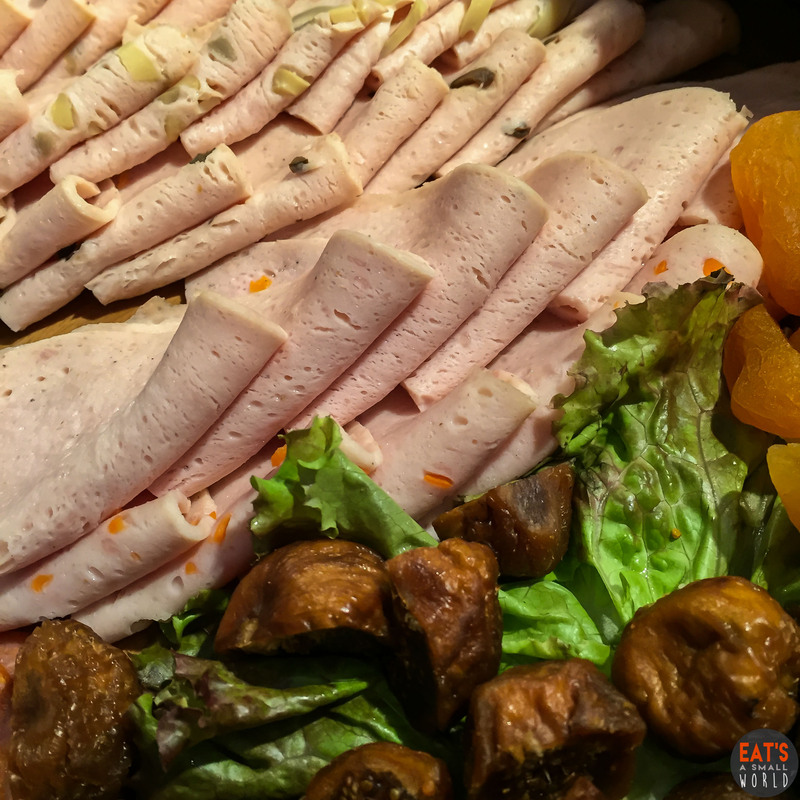 At B Hotel Alabang, we discovered a new and fantastic way to eat Filipino food through the hotel’s very own Prime Cafe strategically located at the lobby. 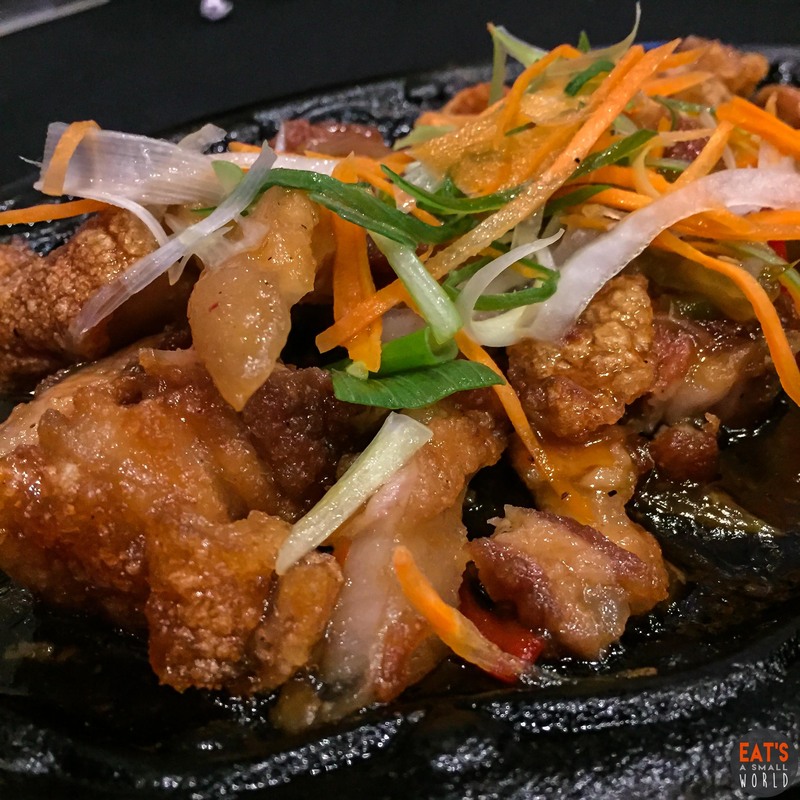 We’ve heard so much about this restaurant and we would like to see, rather, taste for ourselves why is it making waves among gourmands in Manila. That’s why when we got an invitation to sample its new menu, we immediately drove over to B Hotel. At the entrance of the hotel, we were welcomed by their security guards and staff with a warm smile. Quite an impression they left there with me. 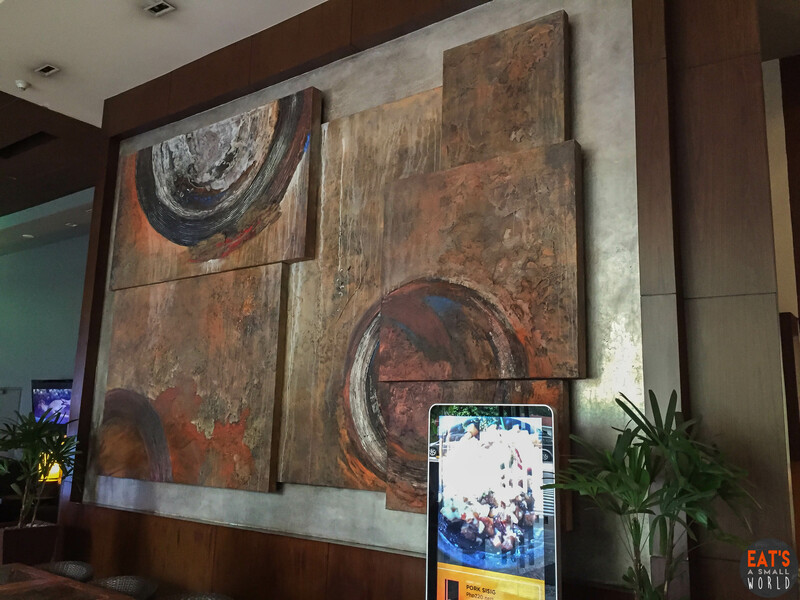 This huge abstract/impressionist mural took my breath away. It is just impressive! Prime Cafe is spacious and well lit. It is clean and uncluttered. We love this. We were also excited because we will be able to taste Head Chef Ricky Galon’s new Filipino food selections as well as the restaurant’s staple best-sellers. 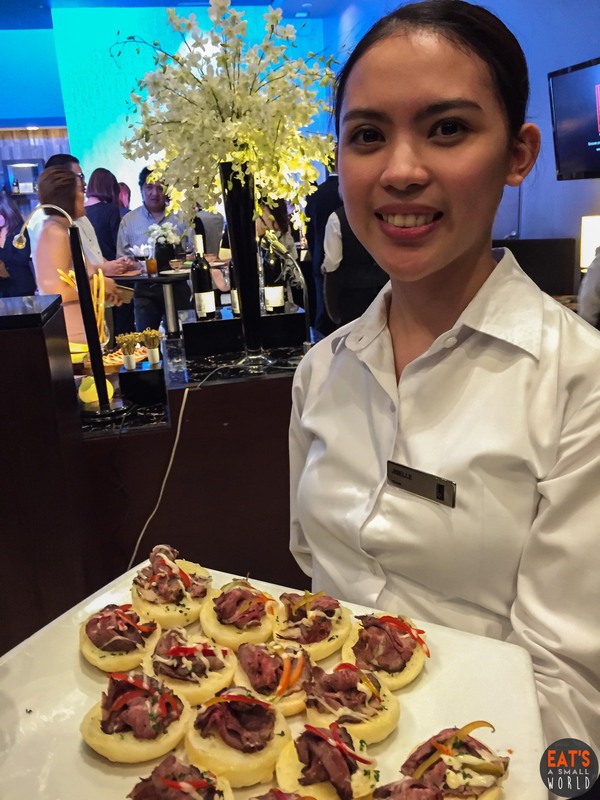 During the food launch #BHAMenuReveal , we were able to easily enjoy the night with the hotel’s selection of cocktails, canapes and hors d’oeuvres. I enjoyed staying at this station because I really love cold cuts and cheeses. One of their servers offered us small servings of roast beef. Yummy! 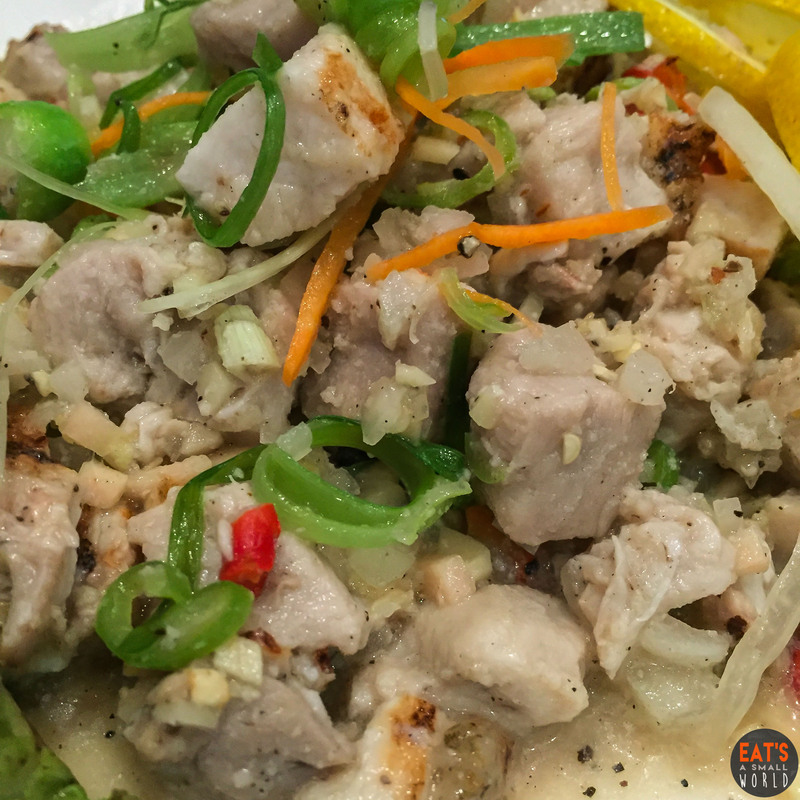 One of the best pork sisig dishes that I have ever tasted. The meat pieces are super crispy and tasty. OMG! I will always crave for this bestseller! Me and my friends really love it. This unique Filipino dish is a new favourite. I really love kinilaw dishes but I never thought it will go well with pork meat. I’d like to match this dish with a bottle of beer. This deep fried crispy pork belly is perfectly blended with the sweet and spicy sauce. More rice please! This dish is one of my favourites. I love thigh part (so tender and tasty) and I can’t stop craving for B Hotel’s take on this signature dish. Of course, it’s best paired with steamed rice. This thin crust pizza is perfectly flavoured with the savory taste of the classic Filipino adobo in crispy flakes form. It’s good for sharing too and I love it with extra chilies on top. 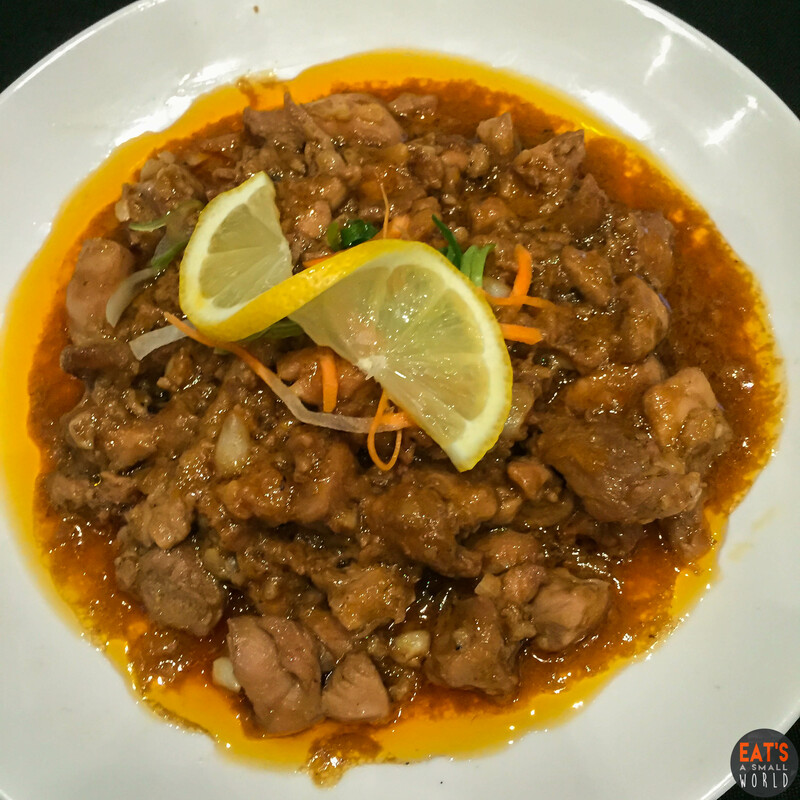 Another home specialty, the Chicken Salpicao has tender chicken meat strips sauteed in olive oil and garlic. I love it as it is but of course it is still best paired with steam rice. 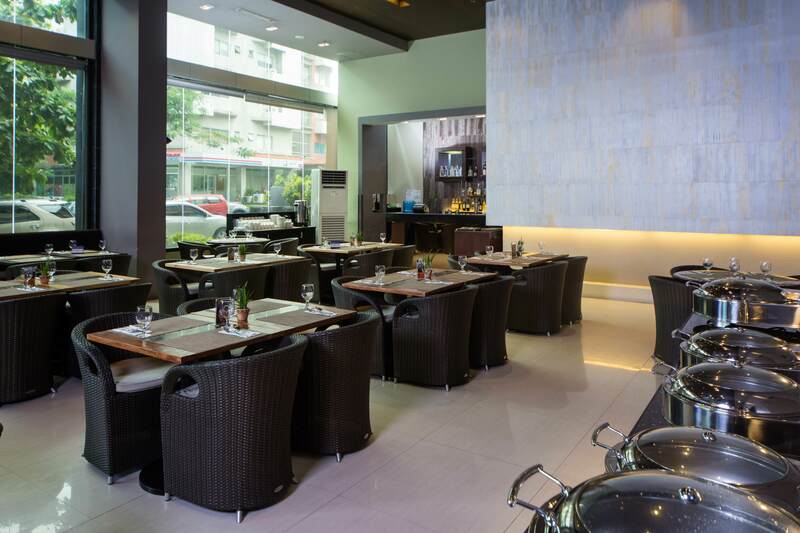 We were so happy to discover B Hotel’s very own restaurant, Prime Café. 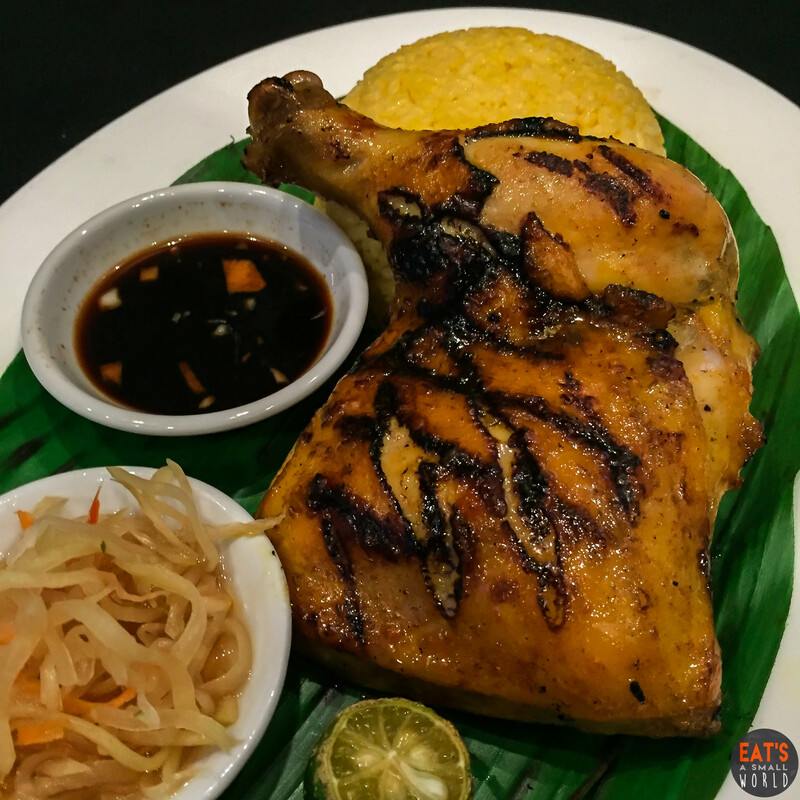 Most of the food items are cooked the traditional Filipino way with love and care. The ingredients are fresh and the service is good. 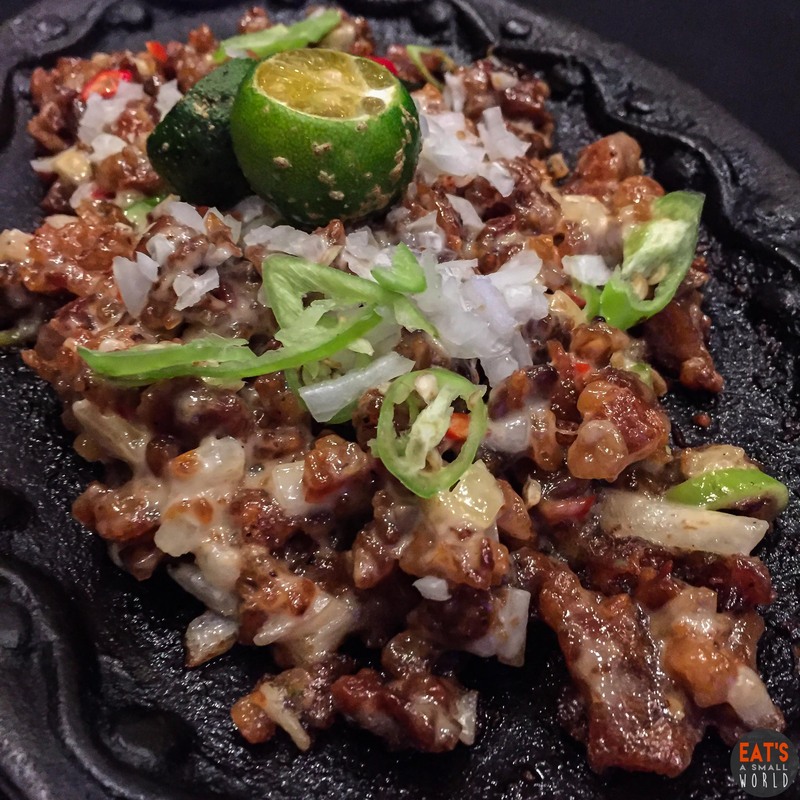 Don’t ever miss out their crispy sisig, it’s one of the bests in the Philippines! 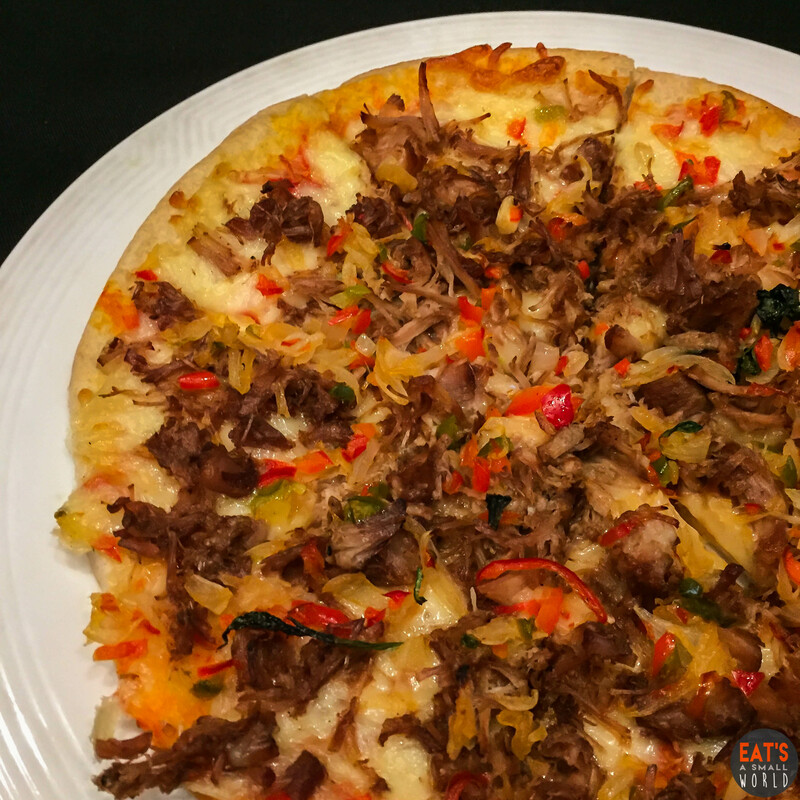 Also, check out the Chicken Inasal and Adobo Flakes Pizza which is perfect for sharing. 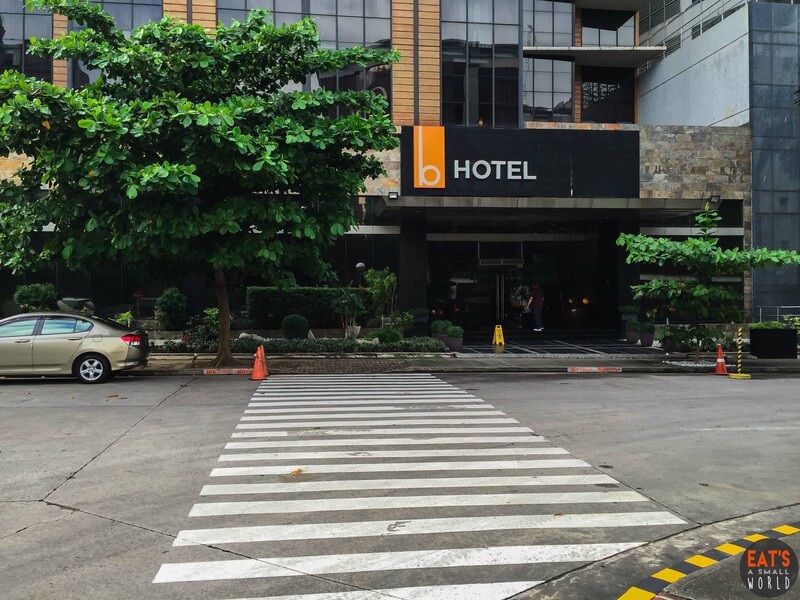 For more details about the hotel and how we felt about our mini staycation at B Hotel Alabang, check out our review on this link. This review is the opinion of the author based on actual experience. The establishments may have changed in terms of ownership, prices, decor, service, food preparation and food presentation after the posting of this review. This is not meant to influence the reader’s decision.